Then the nitrous oxide starting taking a bit of effect. Then the dental dread set in. As I sat there in the dreaded dentist’s chair, awaiting one of the most terrifying procedures that I thought I would have to endure. I sat there and talked myself into not jumping out of the chair and getting out there. Did you know that 1 in 10 people would rather swim with sharks than be sitting in a dentist’s chair? I took a deep breath of nitrous and looked up at the bright white lights that all dentist offices seem to have. Not to mention, that awful television hanging off the wall displaying a screen saver displaying the logo of “DVD Video” slowly bouncing around. The bouncing started getting a bit trippy with the help of the gas. I figured, hey, I endured childbirth. I think… I mean, I hope I can take this. Did you know 15% of people would rather have an awkward run-in with their ex than to endure this? I am calling this my trial run since next week I am visiting a popular Austin cosmetic dentist near me to ask about teeth whitening and what is involved with porcelain veneers. Getting my wisdom teeth out shouldn’t be so bad, should it? Will it? I don’t know what it is, maybe the fact that all my baby teeth had to be removed at the dentist’s. For the life of me, those little buggers wouldn’t come off on their own. Pliers, string, dozens of apples, chewing gum–nothing would help. It was 6 years ago when I had to get my wisdom teeth out and before that, it had been about 15 years since I’ve had any major procedure at the dentist. Back to that vivid and woeful day; and about 9 stinging shots to my gums later, I was fully numbed. My right side was acting up and didn’t want to freeze. He poked and prodded inside my mouth with his tools and I still felt it. The good doctor went onto to inject 5 more shots into my gums and I was finally good to go. I had built up the anxiety about it all. Soon enough, I felt that all too familiar pressure, pull and tug. Then I heard that infamous sound of tearing as the tooth was pulled out. One after the other! I got stitched up, gauzed up and given a little time to regain my center. Then, I was set loose. I left feeling a bit woozy and a bit foolish to be honest. I expected a lot worse, but I am happy it went well. While I had no bruising, I did have swelling and pain. I did, however, leave with a lot of numbness that lasted hours. All of those pinches of needles led to feeling wonky for the rest of the day! I wish I had known back then that there are options like Septodont to reduce freezing time. 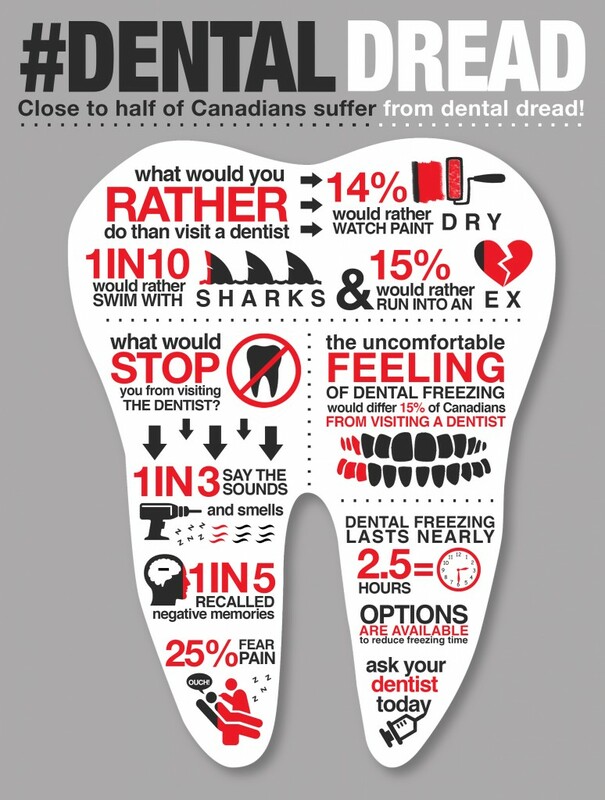 Over 50% of Canadians Have Dental Dread. Knowing that I am not alone is comforting and that we have options out there to help us lessen freezing time and get back to feeling normal faster. Next time you are scheduled for a procedure that requires the needle, fear your dentist no more! Ask them about your options and consider Septodont. It reduces lingering soft-tissue anesthesia after your procedure. Well, I survived getting my wisdom teeth taken out but, it wasn’t without pain and wonkiness. 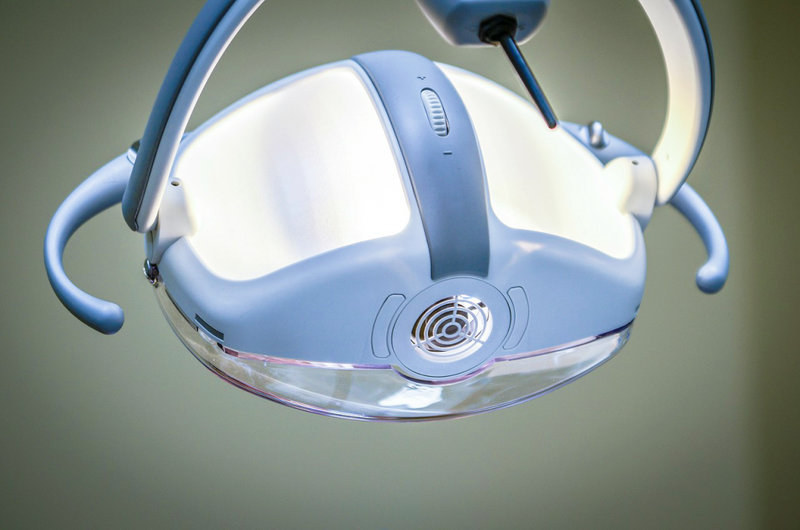 I am due to go to my dentist this coming month and while I am anxious, I know that if I do have to have procedure done–I will be able to lessen my freezing time! How do you feel after a procedure? Nancy Polanco is a freelance journalist, lifestyle content creator, and editor of Whispered Inspirations. She is a proud Mom to Gabby and Michaela, and wife to Darasak. They all share her insatiable wanderlust, enjoyment of good food, and sharing their adventures with the world. Nancy is a contributor to the Huffington Post, TODAY’s Parents, and an Oprah Magazine Brand Ambassador. I don't just have dread, I am completely terrified. I can't even make a call to make an appointment – that's how deep my fear is rooted. That is quite the statistic. I have had a lot of teeth work done and you're right I think it would be more fun to cage dive with sharks. I think it is the freezing that does it! Oh! My! Goodness! I am so lucky that I never had any wisdom teeth. I just don't think I could go through that. I've not heard of Septodont but I dread anything with the dentist so I'm going to research it!! OMG, I do not blame him. I haven't had to have too many procedures, but I did have a dentist lose the top of their tool in my mouth. The top wasn't screwed on properly and down my throat it went. My little 9 year old self thought for sure that was the end of me. OMG, that would freak me out!! I hate going to the dentist, even though its necessary it's not much fun. I have not heard of Septodont before sounds great. If it helps, I am all for it! You will definitely have to ask your dentist! My husband definitely suffers from dental dread. It doesn’t affect me so I wasn’t sure how to help. I’m shocked how common it is! I hate going to the dentist if i have to have any freezing done. It always seems to take forever to feel normal again. I would love to try Septodont next time. I dread going to the dentist. I was able to find a Dentist that offers sleep dentistry and that has been helpful. I hate the frozen feeling after. Yes, the feeling afterwards is awful! I have white coat syndrome, so the type of doctor isn't relevant, they all give me anxiety. Regardless the thought of enduring even more procedures and visits due to neglect of annual visits….keeps me there every 6 months. Oh no, you are not alone! I use to hate going to the dentist. I have no problem going anymore. I always thought certain things either felt to odd or kinda hurt when I went in. I think it was all just in my head because I've been going every year now and it's really not bad. I think it's worse when you wait to long to go, which is why I go every year! Yes, it should be a regular thing! I may not be Canadian, but I definitely have dental dread. I'm not a fan at all. I made sure to find a dentist that I could get fully put to sleep when I had my wisdom teeth taken out (all four at once!). It'd be nice to have this anesthesia that lingers afterwards. That's the worse part, when the meds start to wear off. For me it is a lingering freezing that I do not like! I am going to the dentist today so I am that girl too. I don't know if you're post made me feel better or reminded me that it was going to be like. URG! I'm not sure why but the older I get the worse it gets – but it's better to have teeth than not! Yes, so much better to have teeth! Gotta take care of them! I am an odd one and do not mind the dentist. I have had four wisdom teeth taken out and quite a few fillings. Yeah, nothing good about needles and freezing! Yikes! Well this is a relief and good to know. I am scheduled for a deep cleaning and you know I am totally dreading walking in that office, but we got to do it! The dentist can be so scary! But if you've got kids you have to be brave to show them there's nothing to be afraid of! So true, gotta put on a brave face! Who doesn't dread that scary dentist chair? I know I would have been terrified! I DESPISE dental everything! I literally ball my hands in fists unconsciously the entire time and I'm a tense mess. I need a massage afterwards to relax! Oh no, I get that way if I have to have a procedure. I had to get an infected tooth pulled a few months ago. It wouldn't get numb. The first day that the dentist tried pulling it, it hurt like crazy. I about fell out of the dentist chair trying to pull away from it. It was awful. So he sent me home with antibiotics and pain meds. I went back a few days later and I still wouldn't get numb. So once again, I was sent home with stronger antibiotics and more pain medication. I went back an entire week later and that tooth still wouldn't get fully numb. I finally paid for the nutritious gas and they were able to get it pulled. It was a nightmare. Oh no, I am so sorry you had such a bad time.